WASHINGTON, D.C. — Former Gov. Jerry Brown, executive chair of Bulletin of Atomic Scientists, and others announce update to “the iconic Doomsday Clock,” which symbolizes “likelihood of a man-made global catastrophe,” answer question “have things improved enough to move hands of clock away from midnight” while “nuclear, climate and technology issues dominate the world stage?” 10 a.m. EST, National Press Club, 529 14th St. NW. Contact: Alex Frank 703 276 3264. Also listed: Rachel Bronson, Bulletin of the Atomic Scientists; former US Secty. of Defense William Perry. SAN JOSE — Santa Clara Supervisors Joe Simitian, Cindy Chavez and Susan Ellenberg, and others urge AG Xavier Becerra to “not block the sale of the Verity Hospitals in the South Bay,” say a US Bankruptcy Court in Los Angeles approved Santa Clara County’s bid to acquire O’Connor Hospital in San Jose, St. Louise Regional Hospital in Gilroy and DePaul Health Center in Morgan Hill for $235 million, but Becerra requested that the court grant a stay on the sale, say “Becerra’s interference sets a dangerous precedent for local governments trying to save health care services.” Noon, County Government Center, Back patio, 70 West Hedding St. Contact: Laurel Anderson 408 299 5119. Also listed: Jeffrey Smith, County of Santa Clara County Executive; Miguel Márquez, Chief Operating Officer; Sara Cody, Santa Clara County Health Officer and Public Health Dept. Director; Ben Field, South Bay AFL-CIO Labor Council. SAN FRANCISCO — Asm. David Chiu and others announce Partnership for the Bay’s Future, a coalition of “business leaders, housing advocates and philanthropists” that will seek “new solutions to the regional housing crisis and efforts to build a more liveable, inclusive and vibrant Bay Area.” 1:15 p.m., The Commonwealth Club, 110 The Embarcadero. Contact: Jen Kwart, jennifer.kwart@asm.ca.gov. Also listed: Fred Blackwell, San Francisco Foundation; Jennifer Martinez, PICO California; Xavier de Souza Briggs, Ford Foundation; Maurice Jones, Local Initiatives Support Corp. Event preceded by noon panel discussion, same location. Nothing public announced as of 4:50 a.m. Contact: 916 445 4571. SAN RAMON — (Rebecca) Bauer-Kahan for Assembly 2020 (16th AD), reception, Sponsorships $4700, $3000, $1000, $500, Ticket $100, 5:30 p.m., Sheet Metal Workers Local 104, 2610 Crow Canyon Rd. Contact: 925 228 0161. Senate Republican Caucus reports it has unanimously elected Sen. Brian Jones as Caucus chair. Jones succeeds Sen. Jim Nielsen, who will remain in a leadership role as “Dean of the Legislature” and vice-chair of the Senate Budget and Fiscal Review Committee. Jones will assist incoming Senate Republican Leader Shannon Grove in “overseeing caucus operations, advancing the Republican message, and achieving the Caucus’ legislative goals.” Both Jones and Grove assume their roles March 1. Contact: Lea Park-Kim 916 651 4038. California Retailers Assn. has announced Rachel Michelin will be the organization’s new president beginning Feb. 19. For the past 16 years Michelin has been president of California Women Lead, a non-profit organization that encourages and assists women to run for office and seek appointments to governmental boards and commissions. Michelin succeeds Bill Dombrowski, who retired last year after leading the organization for the past 24 years. Succeeding Michelin at California Women Lead will be Mona Pasquil Rogers who was previously Gov. Jerry Brown’s appointments secretary. Contact: Becky Warren 916 607 0129 (CRA) or Rachel Smith (CA Women Lead) 916 708 7224. The Sacramento Bee’s Capitol Bureau has promoted state worker reporter Adam Ashton to Bureau Chief. Ashton has covered a “state worker” beat since 2016 and has worked for McClatchy since 2004 – first at the Modesto Bee and then at the News Tribune in Tacoma. He succeeds Dan Smith, who went to work for Visit California as its public affairs manager. Reporter Wes Venteicher has joined the Bee’s Capitol Bureau and assumes Ashton’s former state worker beat. Venteicher started working for the Bee in November to write for the opinion section after moving from Pittsburgh, where he was a politics reporter for the Pittsburgh Tribune-Review. Before that, he worked at the Chicago Tribune. 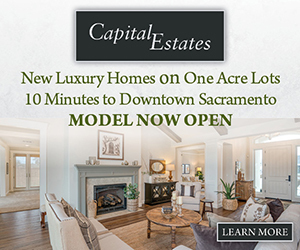 Contact: Ashton, aashton@sacbee.com. Equality California has announced electing its 2019-2020 officers for its board of directors. They are: Pres. Joe Gregorich, director of state government affairs for Sutter Health; Vice Pres. Scott Malzahn, partner at Baker Marquart law firm; Secty. Cecilia Cabello, vice president of Los Angeles Board of Public Works; and Treasurer Drew Murphy, senior vice president of strategic planning for Edison International. Contact: Samuel Garrett-Pate 973 476 3770. The Metropolitan Transportation Commission reports having hired Therese McMillan as its new executive director, effective March 1. The position will also make her the top executive for the Assn. of Bay Area Governments. Since 2016 she has been the chief planning officer for Los Angeles County Metropolitan Transportation Authority. Before that she was a deputy administrator with the Federal Transit Administration, appointed to the job by former Pres. Barack Obama in 2009. This is a return to the MTC for McMillan. Before her work with the Obama administration, she was the MTC’s executive director for public policy. She succeeds Steve Heminger, who is retiring next month from the position he’s held since 2001. Contact: Randy Rentschler 415 778 6780. Council on Criminal Justice and Behavioral Health, hears update from Marlies Perez, CA Dept. of Health Care Services, on pilot program in Los Angeles and several other counties that expanded Medi-Cal coverage for drug addiction treatment to include residential service, case management and recovery support services; a UCLA study found that program increased number of people accessing treatment in Los Angeles by 7%; also discusses “efforts to address the opioid crisis;” other business. 9 a.m., CalVet, 1227 O St. Contact: Sheron Wright 916 319 9847. Mental Health Services Oversight & Accountability Commission, considers authorizing the executive director to enter into contract not to exceed $300,000 to support the “Youth Mental Health Crisis” documentary project by filmmaker Ken Burns, who is preparing “a prime-time documentary series on PBS” that “will tackle issues ranging from anxiety, depression, bipolar disorder, schizophrenia, ADHD, addiction, suicide and more;” other business. 9 a.m., MHSOAC, 1325 J St., Suite 1700. Contact: 916 445 8696. Delta Stewardship Council, considers staff recommendation to add $240,806 to $1.6 million contract with Dr. Carson Jeffres, UC Davis, Dr. Joshua Viers, UC Merced and Dr. Marilyn Vogel, UC Riverside, who are studying benefits of habitat restoration at McCormack-Williamson Tract in the northeast Delta and need an “additional year and funding to make up for work that was lost because of flooding in 2017;” other business. 9 a.m., Park Tower, Conference Room, 980 9th St. Contact 916 445 5511. FRESNO — Air Resources Board, considers adopting amendments to regulations that cover emissions from heavy-duty diesel solid waste collection vehicles and cranes that add reporting requirements for fleet owners so ARB staff can distinguish for DMV registration purposes the difference between heavy-duty diesel vehicles that are subject to emission standards enacted under SB 1 (2017) and heavy-duty vehicles that were exempted from those standards; other business. 9 a.m., The Grand at 1401, 1401 Fulton St. Contact: 916 324 5930. Little Hoover Commission, discusses its draft letter report on voting equipment security; other business. 9:30 a.m., 925 L St., Conference Room 175. Contact: Tamar Foster 916 445 2125. ARCADIA — California Horse Racing Board, considers changing responsibility for adjudicating violations related to possessing an electrical device used for shocking a horse from the board to racetrack stewards; other business. 9:30 a.m., Santa Anita Park Race Track, 285 W. Huntington Dr. Contact: 916 263 6000. SAN FRANCISCO — Board of Pilot Commissioners for the Bays of San Francisco, San Pablo and Suisun, hears members of its Pilot Fitness Committee discuss findings from study on pilot physical fitness conducted by Dr. Robert Kosnik of UC San Francisco Medical Center which “will be of great value to the Board as it considers advances in pilot fitness standards and oversight;” other business. 9:30 a.m., 660 Davis St. Contact: Allen Garfinkle 415 397 2253. Victim Compensation Board, hears erroneous conviction claim of Deshawn Reed, who was found factually innocent following convictions for first degree murder of Victor Johns and second-degree murder of John Jones in Oakland in 2010; Reed served 2,639 days in prison and seeks $369,460 in restitution, which staff says Board is statutorily required to recommend that Legislature pay him; other business. 10 a.m., 400 R St. Contact: Mary Thomson, mary.thomson@victims.ca.gov. LOS ANGELES — State Bar of California Board of Trustees, first of two days, considers waiving $100 fine for late payment of license fee for federal government attorneys effected by the federal government shutdown; State Bar estimates about 4,000 California attorneys work for the federal government; other business. 10 a.m., 845 S. Figueroa St., 2nd Floor. Contact: Sarah Cohen 415 538 2363. Second day begins at 1 p.m. with open session at 1:45 p.m. Controller Betty Yee releases report that finds “lack of oversight continues to plague City of Industry,” a follow-up to report issued three years ago in which her auditors found the city’s accounting controls were “effectively non-existent;” evaluating the city’s accounting controls from 2016 to 2018, auditors find: “Insufficient city oversight of the Industry Hills Expo Center has led to annual losses averaging $1.5 million;” the “Industry Property and Housing Management Authority has no clear objective or strategic plan, fills vacancies without advertising or justification, and rents homes for below-market rates of $600 to $700 per month to current and former city councilmembers;” and “Only one principal payment of $400,000 (in 2008) and one interest payment of $100,000 (in 2009) have been paid to the city on a $20 million loan made in December 1990 to Industry Convalescent Hospital. The loan balance stands at $44.6 million, including $24.6 million in accrued interest with no plan for repayment.” Contact: Taryn Kinney 916 324 2709. Sacramento Area Council of Governments (SACOG) hosts briefing for “transportation, housing and community development staff,” James Corless, SACOG, and others discuss SACOG’s Civic Lab, “a regional effort that aims to address issues of regional importance through action at the local level.” 10:30 a.m., Rm. 125. Contact: Adrienne Moretz 916 319 5189. Representatives from the California Green Chemistry Initiative mark 10th anniversary of passage of two laws that established the initiative for reducing use of toxic chemicals used in consumer products and manufacturing processes, discuss “how California can advance science, protect health and reduce toxic chemicals despite the federal assault on science;” lunch served. Noon, Rm. 125. Contact: Josh Tooker, josh.tooker@asm.ca.gov. Public Policy Institute of California researchers Laura Hill and Megan Hopkins present findings from report on “academic progress among different kinds of English Learners and the factors associated with their successes and struggles.” Noon, Capitol Event Center, 1020 11th St., Second floor. Contact: Kelly Holt 415 291 4498. Members of Asian Americans Advancing Justice’s Asian Law Caucus gather for “teach-in” before marching to North Steps to “raise awareness around the mass incarceration and deportation of Southeast Asian refugees” after recent Immigration and Customs Enforcement raids “have led to a 279 percent increase in Cambodia deportations over the last year,” call on the California Supreme Court to “provide transparency in its recent decision to block Governor Brown from issuing pardons and commutations” and urge Gov. Gavin Newsom to “resubmit clemency recommendations for these denied individuals.” 11 a.m., Stanley Mosk Courts Building, 914 Capitol Mall. Contact: Milan Chang 415 848 7754. Group marches to North Steps at Noon. SAN FRANCISCO — Members of Bay Area Landless People’s Alliance and other groups denounce “City of San Francisco” for it continued “harassment against homeless people without providing adequate services or actual housing,” also protest implementation of SB 1045 (2018), “a dangerous bill that targets homeless people with a history of 5150 holds.” Noon, City Hall, 1 Dr Carlton B Goodlett Pl. Contact: Dayton Andrews, duboisandrews@gmail.com. Archivists Chris Garmire and Kira Dres lead tour of California State Archive collections “documenting California’s rich history and state government,” features “the Archives’ one-of-a-kind historical documents” and “behind-the-scenes views of the preservation and imaging labs,” tour also includes free admission to the Exhibit Gallery. 10 a.m., 1020 O St., 4th Floor. Contact: Nancy Lenoil 916 653 7715. RIVERSIDE — CA Dept. of Justice sponsors third in a series of six forums on California Consumer Privacy Act, which “grants consumers new rights with respect to collection and use of their personal information,” seeks public input on new requirements effective January 2020 that include: “businesses must disclose data collection and sharing practices to consumers; consumers have a right to request their data be deleted; consumers have a right to opt out of sale or sharing of their personal information; and businesses are prohibited from selling personal information of consumers under the age of 16 without explicit consent.” 10 a.m., Cesar Chavez Community Center, 2060 University Ave. Contact: 916 210 6000. Other forums: January 25 in Los Angeles; February 5 in Sacramento; February 13 in Fresno. “Energy 101,” Colin Sueyres of Sen. Jim Nielsen’s office and Darion Johnston of Asm. Cecilia Aguiar-Curry’s office launch first in a series of brown bag lunch discussions for staffers on “how energy gets from point A to point B – with all the challenges between;” no discussion of pending legislation, “just staff helping staff learn;” special guest: Leah Silverthorn of CalChamber discussing “legal framework for energy.” Noon, Rm. 317. Contact: Sueyres, Colin.Sueyres@sen.ca.gov. SAN FRANCISCO — San Francisco Planning and Urban Research Assn. 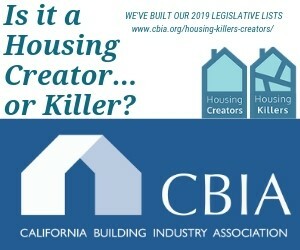 sponsors forum on “how the state is changing local housing decisions,” “several stakeholders who are pushing development forward” discuss how SB 35 (Wiener, 2017), a “tool” for “streamlining housing approvals in cities that have not met their housing targets,” and “the threat of greater state legislation” are “proving to be a catalytic lever in local approvals process, especially at key Bay Area sites like Cupertino’s Vallco Town Center and the Brisbane Baylands.” 12:30 p.m., SPUR Urban Center, 654 Mission St. Contact: 415 781 8726. 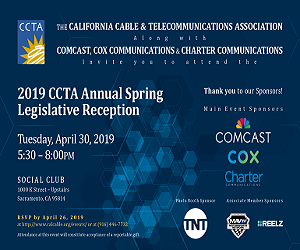 Listed to attend: Sen. Scott Wiener; Kristy Wang, SPUR; Leslye Corsiglia, SV@Home; Reed Moulds, San Hill Property Company; Jonathan Scharfman, Universal Paragon Corp.
MARTINEZ — Sen. Steve Glazer, Asm. Tim Grayson and others join groundbreaking ceremony for the first segment of the Interstate 680 and State Route 4 interchange project, “one of the largest SB 1 capital projects to break ground,” which will “widen approximately four miles of State Route 4 by adding a third lane in the eastbound and westbound directions and improve on-ramp and off-ramp merging,” as well as extend a carpool lane, install safety lighting and replace the Grayson Creek Bridge. 1 p.m., 5401 Blum Rd. Contact: Linsey Willis 925 256 4728. Also listed: Chair Bob Alvarado, CA Transportation Commission. Committee staff for Assembly Local Government and Water, Parks and Wildlife, with Republican Caucus staff who cover those policy areas, sponsor open house for fellow staffers, answer questions about their work. 3 to 4:30 p.m., Legislative Office Building, Rooms 157 and 160. Contact: Keith.Cialino@asm.ca.gov. Winter Mixer, sponsored by Capital Fellows Alumni Assn., “catch up with friends and colleagues before session takes over.” 5:30 p.m., The Bank, 629 J St. Contact: 916 278 6011. BUENA PARK — Asm. Sharon Quirk-Silva hosts “interfaith conversation” to “discover what we have in common and celebrate that, rather than letting the rhetoric of hate divide us into warring factions,” also discusses “legislative issues such as public safety.” 5:30 p.m., Liberty Hall at Ehler’s Event Center, 8150 Knott Ave. Contact: Michael Henning 916 319 2065. MILPITAS — Asm. Kansen Chu holds community office hours, discusses “topics of importance” and his priorities for the community, also provides assistance with state or local issues; light refreshments served. 6 p.m., Milpitas Library, 160 N. Main St. Contact: 408 262 2501. CLIENT ADDITIONS (Lobbying firm, client name, filing date): Arc Strategies, Calpine Corp.; The College Board; Ontario, City of; San Carlos, City of, 1/18/19… Axiom Advisors, Etagen Inc., 1/17/19… Buchalter, A Professional Corp., BP America Inc.; California Large Energy Consumers Assn., 1/18/19… Gary S. Cooper, the following clients subcontracted from Cal Capitol Group: California Academy of Physicians Assistants; Western Occupational & Environmental Medical Assn., 1/18/19… Cruz Strategies, TitleMax of California Inc. d/b/a TitleMax, 1/18/19… Millennial Advisors, Los Angeles Unified School District for Lucien Partners, 1/17/19… Robert W. Naylor Advocacy, American Civil Liberties Union/Northern California/Southern California/San Diego and Imperial Counties, 1/15/19… Nielsen Merksamer Parrinello Gross & Leoni, Californians for Safe and Affordable Housing, 1/22/19… The Law Offices of Alberto Torrico, AT&T Inc. and its affiliates; the following clients subcontracted from Capitol Advocacy: 21st Century Fox; Ryan, 1/18/19. CLIENT DELETIONS (Lobbying firm, client name, filing date): KP Public Affairs, Recurrent Energy LLC, 1/18/19… Lucien Partners, Los Angeles Unified School District, 1/18/19. NEW REGISTRATIONS (Lobbyist name, firm name, filing date): Dustin Moore, Axiom Advisors, 1/17/19… Sebastian Ridley-Thomas, Millennial Advisors, 1/17/19… Richard Thomson, Firearms Policy Coalition Inc., 1/18/19. Rex Hime’s campaign for SD 1 reports an endorsement from former US Rep. John Doolittle. Release here. Hime, a Republican, is president of the California Business Properties Assn. Contact: Matt Rexroad 916 672 2831. Democrat Ana Maria Quintana has announced her candidacy for SD 33, also reports having raised $120,000 “in the reporting period that ended December 31, 2018.” Release here. Quintana, a Democrat, is vice mayor of Bell and is a municipal attorney. Contact: Adam Richardson 323 828 0530. Lena Gonzalez’s campaign for SD 33 reports endorsements from “several labor organizations representing thousands of working women and men,” the first five listed are: International Assn. of Machinists Local Lodge 947, International Brotherhood of Teamsters Local 952, International Longshore & Warehouse Union (ILWU) Local 13, International Longshore & Warehouse Union (ILWU) Local 63 and International Longshore & Warehouse Union (ILWU) Local 94. Release here. Gonzalez, a Democrat, is a member of the Long Beach City Council. Contact: Sergio Carrillo 310 748 6495. Leticia Vasquez-Wilson’s campaign for SD 33 reports having submitted “over 250 signatures of registered voters” to qualify her for the ballot in lieu of paying a filing fee. Release here. Vasquez-Wilson, a Democrat, is a member of the Central Basin Municipal Water District board of directors and was mayor of Lynwood from 2005 to 2007. Contact: Jasmyne Cannick 323 839 0216. Andrew Rodriguez’s campaign for AD 55 reports endorsements from Artesia City Councilmember Ali Taj and Fullerton Joint Union School District Trustee Joanne Fawley. Release here. Rodriguez is Mayor Pro Tem of Walnut and was an Americorps service member. Contact: Ben Escobedo 626 716 1053. Nothing public announced as of 4:55 a.m. Contact: 916 445 4571. VACAVILLE — (John) Garamendi for Congress (CD 3), 9th Annual Crab Feed, Platinum $5000 (table for 10, three bottles of wine), $2700 (table for eight, two bottles of wine), Gold $1000 (table for eight), Silver $500 (four tickets), Sponsor $75, Ticket $45. 5:30 p.m., Ulatis Community Center, 1000 Ulatis Dr. Contact: 916 215 5613. SUNDAY, Friends of Frank Bigelow for Assembly 2020 (5th AD), Professional Bull Riding Finals, Three Tickets $4700, Ticket $1500, 1:45 p.m., Golden 1 Center. Contact: 916 492 9604. Commission on State Mandates, considers staff recommendation to deny $217,948.17 claim from Commerce’s Central Basin Municipal Water District for costs associated with implementing a 2016 state oversight law intended to reform its governance structure after a 2015 state auditor’s report “found that the board’s poor leadership has impeded the district’s ability to effectively meet its responsibilities,” offering many examples of the board’s “poor leadership,” including the board having approved a trust fund for legal expenses without adequate public disclosure, inappropriately avoiding the competitive bidding process to award contracts and spending “unreasonable amounts of money on installation ceremonies for its board members;” other business. 10 a.m., Rm. 447. Contact: 916 323 3562. FOLSOM — CA Prison Industry Authority, considers approving its fiscal year 2017-18 report to the Legislature; other business. 10 a.m., Green Valley Training Center, 995 Folsom Lake Crossing. Contact: 916 358 2677. FRESNO — Treasurer Fiona Ma concludes her listening tour begun Jan. 17 in Los Angeles to gain “feedback from the public about how her office can help increase the supply of affordable housing statewide,” says tour will help with oversight of her office’s resources and allow her to “assist Governor Gavin Newsom, who has called for 3.5 million new housing units by 2025, which amounts to 500,000 new homes each year.” 9 a.m., Legacy Commons Community Center, 2255 S. Plumas St. Contact: 916 653 2995. SUNDAY, Annual Legislative Conference, sponsored by Community College League, first of two days, administrators, faculty, students and others hear speeches and attend sessions on topics including support for low income students, future of college facilities and federal higher education policy. 10:30 a.m., Sheraton Grand Hotel, 1230 J St. Contact: Laura Murrell 916 245 5030. Monday events include: general session address by Sen. Connie Leyva at 9:45 a.m. and legislator town hall meetings with Sen. Scott Wilk and Asm. Monique Limón at 11 a.m., Sheraton Grand; and Capitol briefing on the League’s Affordability, Food and Housing Access Taskforce to “discuss the challenges California community college students face with housing and hunger,” 4 p.m., Rm. 444. “Mama and Papa Grizzly Bears of California” denounce “California Healthy Youth Act (AB 329 2015), say proposed framework for its implementation “endangers the very health and well being of our children while stripping away parental rights” and “a parent’s right to opt out of controversial content has been written out of the law,” aver to “stop at nothing to protect our baby bears.” 1:30 p.m., South Steps. Contact: InformedParentsofCa@gmail.com. Followed by 2:30 p.m. march to Dept. of Education, 1430 N St., to make public comments at Instructional Quality Commission meeting. SUNDAY, OAKLAND — US Sen. Kamala Harris formally launches her campaign for president of the United States “in her hometown of Oakland,” discusses “why she is running for president, the challenges that face the nation and her vision for the country,” says “time is now for us all to defend the American values of equality, decency, justice and democracy.” 12:45 p.m., Frank H. Ogawa Plaza, 14th and Broadway. Contact: Ian Sams 423 915 6592. MENLO PARK — Asm. Marc Berman hosts community coffee, discusses “community and legislative matters.” 8 a.m., Cafe Borrone, 1010 El Camino Real. Contact: Kaitlin Curry 916 319 2024. LOS ANGELES — Asm. Reginald Jones-Sawyer, with Kathleen Howard and Linda Penner from Board of State and Community Corrections, hosts town hall on Youth Reinvestment Fund that will “help improve the outcomes of vulnerable youth populations by using trauma informed, community-based interventions in lieu of arrest, detention and incarceration,” say “youth are incarcerated for low-level offenses, costing taxpayers millions of dollars, while simultaneously failing to provide effective interventions and leading our cycles of incarceration.” 10 a.m., Wallis Annenberg Building, 700 State Dr. Contact: Shelli Jackson 916 319 2059. Candidates for Capitol LGBTQ Assn. board of directors deliver statements on why they are running. Noon., Rm. 317. Contact: capitollgbtq@gmail.com. Event opens at 11 a.m., voting continues until 1 p.m.
“Lunch & Learn,” Sen. Richard Pan helps promote Big Brothers Big Sisters of the Greater Sacramento Area, says “be a part of something bigger than yourself” and “help kids reach their potential.” Noon, Legislative Office Building, 1020 N St., Room 576. Contact: Shannan Velayas 916 651 4006. Capital Fellows Alumni Assn. holds its annual membership and elections meeting, “if you’re interested in becoming more involved with the association or just staying up to date with our plans for the new year we hope you will join us.” Noon, Rm. 112. Contact: Sarah Couch, cfaachair@gmail.com. Retirement party in honor of Senate Republican Judiciary Consultant Mike Petersen, who “wishes to thank the people of the Capitol who have been helpful to him during his 23 years of service;” coffee and cookies served. 1:15 p.m., Rm. 115. 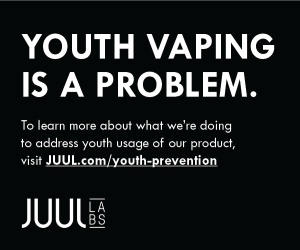 Contact: Jennifer.Hodgkins@sen.ca.gov. FRESNO — Sens. Melissa Hurtado and Anna Caballero hold community swearing-in ceremony, oath administered by Justice Rosendo Pena of California Fifth District Court of Appeal; includes Sanger High School NJROTC leading the Pledge of Allegiance; also discuss “issues throughout the Central Valley.” 6 p.m., Carpenter Local 701, 1361 North Hulbert Ave. Contact: Shery.Yang@sen.ca.gov. SATURDAY, MARTINEZ — Sen. Bill Dodd hosts “Senior Issues Forum,” convenes panel “to talk to seniors about healthcare, fraud prevention and benefits available to seniors through the state.” 9 a.m., Martinez Senior Center, 818 Green St. Contact: Paul Payne 707 576 2093. SATURDAY, LOS ANGELES — Insurance Commissioner Ricardo Lara holds community swearing-in ceremony, oath administered by Alex Greenwich, member of the New South Wales Legislative Assembly representing Sydney. 11 a.m., Garfield High School, 5101 E. 6th St. Contact: Dan Weitzman, dan@danweitzman.net. Listed speaker: Pro Tem Toni Atkins. SATURDAY, WEST HOLLYWOOD — Supporters of Draft Beto campaign in support of former Texas US Rep. Beto O’Rourke running for president sponsor “house party;” open to press who RSVP. 1 p.m., 7531 Hampton Ave. #107. Contact: Michael Soneff, michael@draftbeto.org. Similar events in Stevenson Ranch at 1 p.m., 25230 Steinbeck Ave. Unit C, and in Palmdale at 2 p.m., 28862 Sunnyvale St.
SATURDAY, OCEANSIDE — US Rep. Mike Levin hosts town hall, discusses “what is happening in Washington that is affecting everyone in our district.” 3 p.m., Oceanside High School, 1 Pirates Cove Way. Contact: 202 225 3906. SATURDAY, VALLEJO — US Rep. Mike Thompson holds a “gun violence prevention town hall,” discusses “details of his recently-introduced H.R. 8, the Bipartisan Background Checks Act of 2019.” 3 p.m., Florence Douglas Senior Center, 333 Amador St. Contact: Alex Macfarlane 202 225 3311. SATURDAY, HAYWARD — Sen. Bob Wieckowski and Asm. Bill Quirk present joint certificates to honorees at Hayward Chamber of Commerce’s Awards Gala. 6 p.m., New University Union at Cal State East Bay, 25800 Carlos Bee Blvd. Contact: Jeff Barbosa 916 651 4010.